The Yost System for the Violin has been well received since its creation by its author. The System is aimed at the serious student who wishes to excel and it continues to be an important part of study for many violin, and now viola, teachers and their students. With its various volumes, it is one of the most complete and comprehensive Systems available to the violin community, covering all aspects of violin techniques, methods, practice, and use. It is not, as are some of the contemporary violin method books, a quick immersion designed to get the student playing in a few months without really being provided with a sufficient foundation to excel. It was written with the assumption that the student wishing to excel will seriously practice and devote the time needed to acquire the skills the System is intended to develop. Gaylord Yost combined his understanding of the violin and music with his teaching experience to create the routines, methods, exercises, and techniques necessary to develop serious violin students to a level of excellence not easily attainable elsewhere. The System was out-of-print for a time, The Yost Family Trust, owners of the copyrights, is making it available once again to those in the violin and viola communities who wish to benefit from it. Added to the existing System is a viola “Exercises for Change of Position.” edition transcribed by violist Rafael Videira. Since republishing these books in 2010, the Yost System for Violin has been purchased by violinists and violists in 49 states and 18 countries. Gaylord Yost began his lifelong love affair with the violin as an elementary school student in Ohio. At the age of 15, he was so advanced in his abilities that he became the principal violin teacher in his community and had a class of eight students. After studying in Toledo and Detroit, he traveled to Berlin, Germany in 1906 where he studied with Issaye Barmas, a Russian violinist, who lived there and taught and performed for Germany’s audiences. Upon his return to the US, he taught violin in Indianapolis. During this period, he made one concert tour of Europe, one of Central America, and three in the US, from coast to coast. He was the first violinist to give an entire program of American works. He eventually moved to Pittsburgh, PA to become the head of the violin department of the Pittsburgh Musical Institute. While there, he formed a quartet which became popular in the Pittsburgh and western Pennsylvania area and elsewhere in the east. His quartet performed on KDKA, the first commercial radio station in the US. His compositions have been performed by Zimbalist, Maude Powell, Albert Spaulding, and other celebrities. He was active in Pittsburgh musical circles until World War II broke out and interfered with and drastically curtailed his and many other musicians activities. He resumed teaching violin in Pittsburgh after the war before moving back to his hometown in Ohio. He died there in 1958. We invite you to peruse this volume and compare the methods and advice given with any other published materials available. We feel confident that you will agree that the Yost System for Violin is a unique and significant milestone in the world of practical violin instruction and artistic accomplishment. 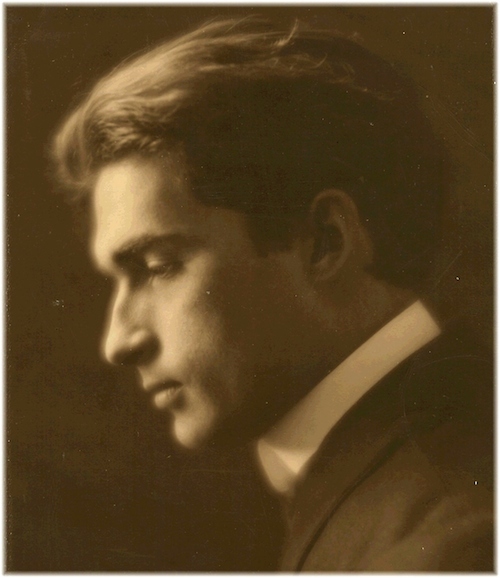 In memory of composer and teacher, Gaylord Purcell Yost, 1888-1958. Purchase directly from Amazon with credit card. Shipping will be consolidated for Amazon purchases of more that one book and a refund issued for any over charge.